Now days, most of the “all-in-one” printers in stores today don’t have “all” the features of their older brethren. As printers have gotten smaller and sending scanned documents via e-mail has become acceptable in many businesses, the fax feature has been replaced with slots for Flash memory media. However, there are still times when you run across a client or a business that will only accept faxed documents. 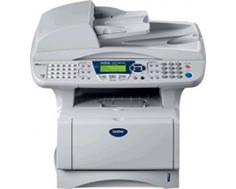 The older Brother MFC-8840D 5-in-1 is a full-house, all-in-one printer that offers two types of faxing, scans, copies, printing, and automatic duplexing. Drivers are included for Mac as well as Windows users. With added options the MFC-8840D can have an extra-capacity tray, or be a LAN or wireless network printer. If you don’t want to turn on the computer every time you want to make a copy, or a fax, you don’t have to. The MFC-8840D has a full control panel with an on-screen menu for printer setup and full operation without the need for software. A pass-through external phone jack on the back of the printer allows for plugging a telephone or an answering machine. Twenty, one-touch programmable keys allow speed-dialing for up to 40 fax numbers. To protect unwanted access to the 500 fax pages that can be stored in the MFC-8840D’s 32MB memory, a 4-digit security password can be activated. Both the 250-sheet lower and the 50-sheet flip tray can support paper sizes up to Legal size. This allows for double-sided copying, scanning, and printing up to 8.5 x 14 inch paper. The MFC-8840D gives choices that allow you to make a double-side copy from a single-sided original, double to double, or multiple pages on a single sheet. The flip tray can hold envelopes, transparencies (remember to use transparencies made for laser printers or bad things can happen to your printer), labels, and slightly heavier paper. While PC’s with a parallel interface are becoming few and far between, with the increase of USB devices, it’s nice to free up a USB port if your computer still has a parallel interface. The MFC-8840D gives you that choice with USB and Parallel connectivity. The 18s warm-up time is reasonably fast, compared to other laser printers that can take twice as long. In operation, the MFC-8840D produces 53 dB of sound, and 30db in standby. Think of 53dB as the sound of low conversations and 30 decibels as a quiet office. While 53 decibels is not loud, you still wouldn’t want this printer in a corner of a conference room chugging out a 100-page report during a meeting. Print speeds of 22ppm are average to many similar-priced printers. The large footprint and overall size of this printer makes it pretty difficult to justify adding to your home decor (unless your home looks more like an office). Often home computer workstations barely have enough space for an inkjet printer, much less a laser printer. But sitting on an office table, the height and size of the MFC-8840D is just right for someone standing next to it to manually use the on-screen display for making copies or to fax using the speed-dial features on its panel. Brother recommends using either Hammermill or Xerox brand paper. However, other brands work fine as long as the paper weights are between 20 and 24 pounds. Speaking of paper, the 250-sheet paper tray is woefully undersized for office use. It’s typical for even a small office to go through a ream of paper in a single day. It’s also common for offices buy paper in 500-sheet reams, if not a 10-ream boxes. For all you office folk out there: How many times have you taken a ream of paper from the supply cabinet to fill an empty printer, only to find the printer’s tray only has the capacity to hold half that amount? Now here’s the $24,000 Question: What usually happens to the rest of that ream? By the end of the day you’ll see the remaining ream somewhere near the printer, sheets pulled haphazardly by people who needed just a couple of blank sheets. By the time the printer needs to be refilled again, the state of that paper is now so uneven and disheveled it’s likely to jam in the printer. For personal and home use, a 250-sheet tray is sufficient, so long as you’re not someone whose home is their office. A second add-on tray is available as an optional purchase, but it’s still limited to a 250-sheet capacity. Having a tray that you can dump an entire ream of paper into would be an option any office would invest in. Personally, I find it’s kind of a cheat to count software as part of a printer’s hardware functions, but Brother decided the addition of PCFax software (which is not a needed installation) counts as the 5th feature in their “5-in-1” title. So does that also mean when a printer comes with, photo editing, a MP3 library, a DVD player, and Julia Childs Recipe Bonanza software that those should count as added features of the printer too? 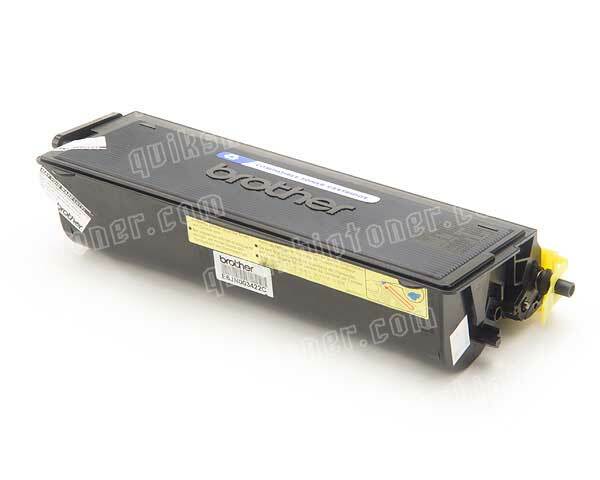 Review it: "Brother MFC-8840D "
Unlike many laser printers which come with a partially filled “starter” toner, right out of the box Brother gives you their Standard Yield toner and drum. The MFC-8840D has separate toner and drum to help reduce overall consumables costs. Brother offers a choice for toner: the Standard toner (3,500 pages at 5%), or the High-yield (7,000 pages) unit. The drum unit will need to be replaced ever 20,000 pages. 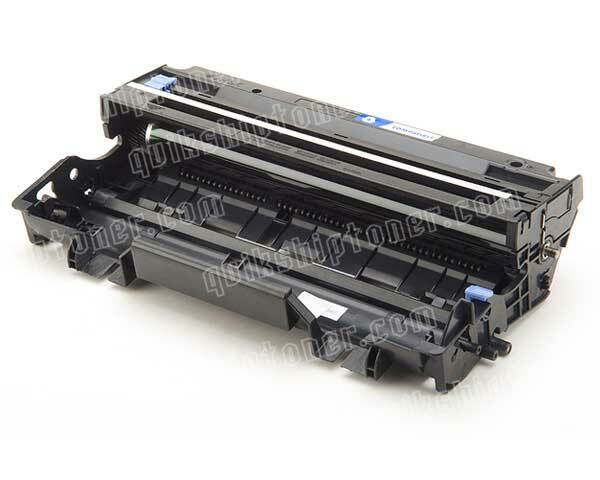 During the course of changing toner people often forget to keep track when it’s time to change the drum. Combo-packages are available that offer the drum with several toners. By the time the toners are consumed, the remaining drum is replaced. These combo-packages make maintenance easy and increases overall longevity and print quality.